Let’s say you’ve already figured out that businesses which miss on digital advertising opportunities are businesses which miss out on revenue. And let’s say that you’re about to spend your first digital advertising budget. You’ve got your business’ blog all covered, and you want to buy some real ads. You have a choice between banner ads, Google ads, and native ads. Not that you shouldn’t consider buying banner space and setting up a Google ad campaign, but you should also be aware of the world of good native ads can do for your business. Let’s dive in. Native ads, simply put, are ads that are designed not to look like ads. You can spot a banner ad from miles away, and Google ads look and feel like ads. But native ads don’t – they are made to resemble real content. They are used on websites like Facebook, Twitter, Pinterest, and LinkedIn, websites which have large unser bases and are used, among other things, for sharing content. Native ads are made to resemble content because that helps them blend in, which in turn makes people viewing them treat them almost as if they were not ads. It’s not a scam – people will still know they are clicking an ad or a piece of sponsored content when they click on it. But the fact that these ads don’t look and feel like the ads people are already used to ignoring gives them an advantage over other types of ads. Why Are Native Ads So Great? Apart from their ability to blend in with other content, native ads have a number of other advantages, not the least of which is the fact that they are hosted on websites which have large numbers of users. 2.3 billion of people are using social media today, and that number is only going to rise. Facebook has almost 1.6 billion of users, Twitter has 313 million of active monthly users, LinkedIn has 433 million of users – you get the picture. These websites offer an unprecedented reach, and they can allow you to reach markets you never thought were available. 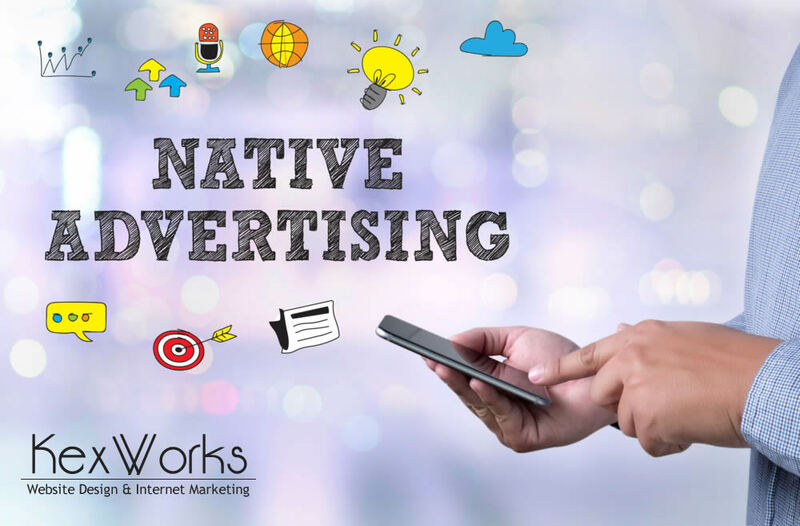 If generating new leads is what you’re into, and you should be if you’re looking into digital advertising, native ads are the way to go. Another benefit of native ads is that they allow very fine targeting of the audience. These websites, especially Facebook, have access to an enormous amount of data from their users. They know their users pretty well, which is why social networks are able to serve their users ads that will be most interesting to them. The more the users are interested in the ads they see, the more likely they are to click on them. It’s as simple as that. And if the targeting doesn’t hit its mark and doesn’t lead to the desired outcome, you can alway retarget. Let’s face it, your native ads will not always lead to a purchase, a subscription, or whatever might be your desired goal. While that’s not ideal, native ads are great because they allow you to get the most out of the situation. At the point when a social network users come into contact with your native ad, they represent what is called “cold traffic” – visitors who have no idea about your business, your products, or your services, By the time they finish their visit, they have gathered some knowledge about you, so the next time they come they will not “cold traffic,” they will be “warm traffic.” Native ads are great for getting your cold traffic, but they are also great for making those visitors come back. Once they’ve clicked one of your native ads, your ads can again be displayed to them. This time, however, the ad displayed to them should be even more relevant and relatable, provided that you have such an ad. This is what is called retargeting – your native ads keep going after their targets, each time getting more relevant and relatable. And the more relevant and relatable they get, the more likely it is the warm traffic will heed the call to action and purchase, or subscribe. As for the costs of native ads, you should know that they vary. You can spend less money on them than you would on banner ads or Google ads, but you can also spend more. The bottom line is that it’s really up to you – you can choose the network which fits your needs and your budget the best.